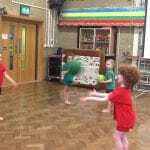 In P.E this week, we have looked at improving our ball skills. 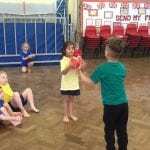 We were throwing and catching the ball and seeing if we could use hand eye co-ordination to help catch the ball. 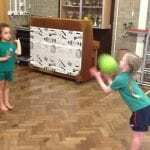 This increases our motor skills and we have been working on how we cooperate as a team. This improves our sharing and listening skills too!